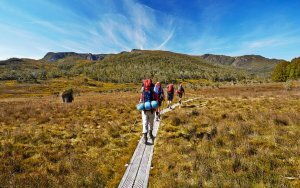 One of Australia’s most famous hiking destinations, the Overland Track takes you through Tasmania’s beautiful World Heritage wilderness from Cradle Mountain to Lake St. Clair. For those who enjoy hiking, it is a ‘must-do’ iconic long distance bushwalk and it is estimated that more than 8,000 walkers enjoy the track each year. 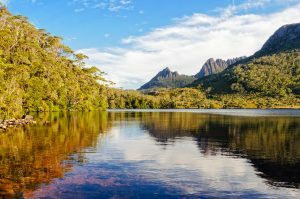 This ‘bucket list’ journey takes you along a graded trail through the Tasmanian Wilderness World Heritage Area. Stunning views await you at every turn – from the dramatic cliffs of Cradle Mountain to the lush green rainforest surrounds of Lake St. Clair. Hiking and wilderness lovers alike will enjoy the waterfalls, valleys, lakes, mountains and diverse ecosystems of the region. Many view the spring and summer months as the best time to do the Overland Track due to the warmer (it’s fair to expect temperatures around 21 Celcius) and longer days. Although as a result, it’s also the busiest time for the hike. 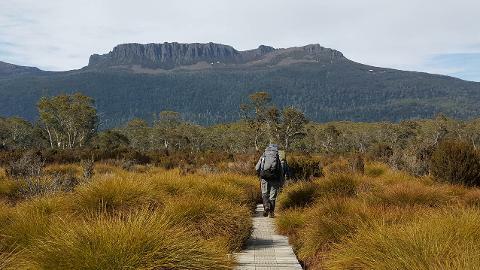 This epic trek can be done in either direction – starting at Cradle Mountain or Lake St. Clair – however during the busier warmer months, a prior booking is required to walk from north to south. If you’re open to cooler temperatures and looking for less fellow hikers, the autumn and winter months showcase the hike in a different and equally beautiful light. In late autumn, sections of the Overland Track feature bright fungi that brighten the trail. In winter, you may get to enjoy a true alpine feel with a snowy covering. Whatever your preferences, the Overland Track can deliver a memorable experience any time of the year. Image thanks to lkonya. The Overland Track is usually completed over 6 days – with days varying from 12kms to 7kms, (long days averaging around 7hrs and short days averaging around 3hrs). While most hikers take 6 days for the hike, some prefer rest days or to include side-trips which lengthen the trip. One addition that can be popular is the hike around Lake St. Clair, adding 17.5kms and requiring another day. This hike takes walkers from Narcissus Hut, at the head of the lake, to the Visitor Centre - as an alternative to getting the ferry. 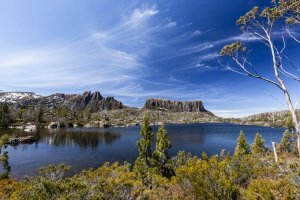 Shorter trips: For those just looking for a taste of the Track, some day and overnight walks are available in the region and include sections of the Overland Track. Image thanks to Tourism Tasmania & Joe Shemesh. Self Guided – looking for flexibility and freedom? For fit hikers who like the adventure of finding their own way, enjoy camping, and don’t mind carrying their own gear, then self-guided could be the way to go. The self-guided option can certainly save you money and time if you’re faster than the average walker. Guided tours – looking for comfort and security? A guided tour allows you to switch off (relative to self-guided) and enjoy the scenery. A highly experienced and knowledgeable guide can definitely help you relax and enjoy the walk. Everything will be taken care of for you and back up support is on hand if needed. Apart from the tour company and their resources, another benefit of a guided tour is the potential to make new friends with others. For those choosing a self-guided hike, there are campsites and public huts to consider. 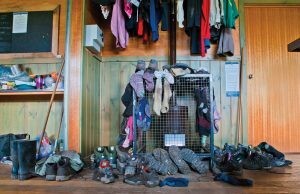 There are many huts, however there is no booking system so you must ensure you have a tent with you in case there is no space left on arriving at a hut. There is one company with private huts, so if the sound of arriving to a hot shower, delicious meal and glass of wine appeals, then look out for this option. Image thanks to Tourism Tasmania & Sarajayne Lada. For those not hiking with a guided tour that provide all meals, you’ll need to consider all the food you need for the length of your planned hike. 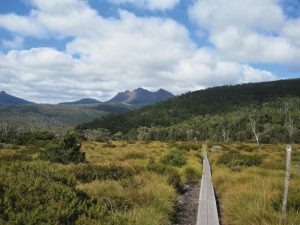 During the peak booking period (1 October to 31 May) the track is walked from north to south, starting at Cradle Mountain. At other times of year, the track can be walked starting at either Cradle Mountain or Lake St. Clair. Image thanks to Tourism Tasmania & Veronica Youd.. 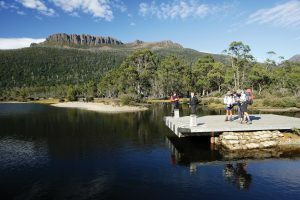 If you are planning to drive to Cradle Mountain or Lake St. Clair, head to the visitor centres, where you will find long-term parking to use while you’re walking the track. Some walkers find it easier to park at Lake St. Clair (if that’s their planned end destination), and get the bus back to Cradle Mountain to commence the hike – make sure you check what days the bus operates. For those parking at Cradle Mountain, there’s a Cradle Shuttle Bus departing regularly from the visitor centre to the start at Ronny Creek. There are a number of bus companies that can provide transport – from major cities to Cradle Mountain. If you plan to take the ferry from the Lake St Clair Visitor Centre to the Narcissus Hut, you must book and pay for your ferry crossing in advance – and when you reach Narcissus Hut (if hiking from Cradle Mountain), confirm your ferry booking with the ferry company by using the two-way radio. There are various reports on the level of difficulty of the Overland Track, but most regard the intensity of the hike as medium. It’s definitely advised that you have a reasonable level of fitness, and if you’re a beginner, perhaps opt for a guided tour and speak with the operators about your abilities. Image thanks to Tourism Tasmania & Sarajayne Lada. If you’d like to make the most of your time at Cradle Mountain, and have a relaxing start to your adventure, there are accommodation options at Cradle Mountain to consider. This will give you more time to get ready, check in at the visitor centre and catch the Cradle Shuttle Bus to the track start at Ronny Creek 7km away – you’ll then have a 4 to 6 hour hike to the first hut at Waterfall Valley. There are also accommodation options, both lodges and holiday rentals, at Lake St. Clair for you to use for the nights before or after your hike. Image thanksto Tourism Tasmania & Rob Burnett. You’ll start your journey on boardwalk across the buttongrass moorland. You’ll pass Crater Falls as you start to rise, then rest at Crater Lake. The rest will set you up well for the climb to come up the steepest section of the Overland Track – Marions Lookout (1250m). 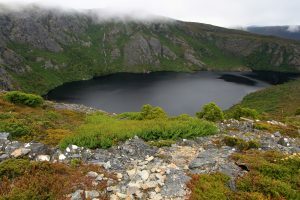 From here you’ll walk beside the base of Cradle Mountain, enjoying the glacial views for 5 kms. Following this, you’ll enjoy the descent into the stunning Waterfall Valley where you’ll find the campsites and huts. Day 1 is considered by many to be the most difficult day of the Overland journey, so your time relaxing at Waterfall Valley will be well deserved. Day 2 will take you over the bottongrass plains and around alpine lakes. When you get to the section between Lake Will and Lake Windermere, you’ll be very exposed so consider clothing for wind and water. This section will have you travelling high across the plateau. When you arrive at Lake Windermere, consider a swim and you’ll find Windermere Hut just beyond. This walk is relatively flat relative to days 1 adventures. Again you’ll cross the buttongrass plains with some steep forested sectons including the Pine Forest Moor and eventually you’ll cross Pelion Creek. Following the creek, you’ll be greeted by beautiful rainforest with a gradual descent all the way through to Frog Flats where you’ll cross Forth River – this is the lowest section of the Overland Track at 730m above sea level. You may choose to camp here, but most hikers take the gradual walk through more rainforest that transitions to open eucalypts before arriving at Pelion Plains. 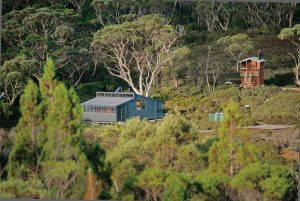 The hut here is roomy, and will provide you with fantastic views of the dolerite spires of Mt Oakleigh. You’ll start with a slow ascent to Pelion Gap, before heading down and across buttongrass plains and on to Kia Ora. There’s a bit of climbing today as while you start and end the day at 850m, you’ll ascent 300m in between at Pelion Gap. 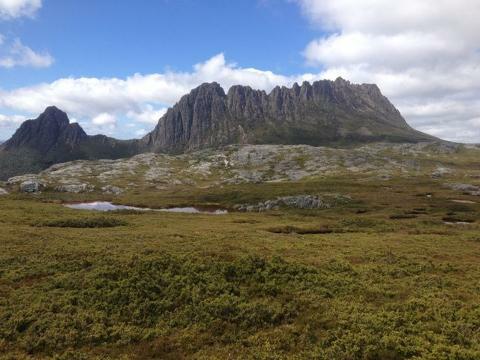 You may also choose to climb Tasmania’s highest mountain, Mt. 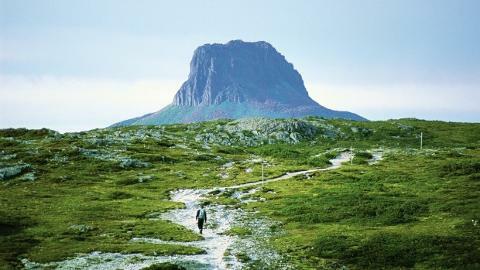 Ossa (1617m) – this is optional though. After Pelion Gap, you’ll be on the descent through Pinestone Valley with views of Cathedral Mountain, to Kia Ora Hut with the Kia Ora Creek nearby. Image thanks to Tourism Tasmania & Sarajayne Lada. Today is mainly rainforest walking – with some waterfalls along the way. You’ll be surrounded by the rainforest of Castle Crag. After you pass the small clearing where you’ll see the Du Cane Hut, you’ll come to the side trip option to see D’Alton and Fergusson Falls which are well worth a visit. When you’re back on the main track, you’ll begin a climb to Du Cane Gap and once you cross it, you’ll start a steep descent to the Du Cane Range - sculpted by glaciers thousands of years ago. 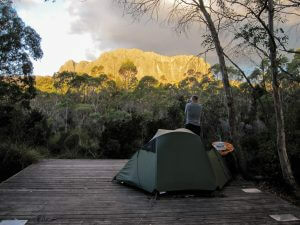 You’ll now be close to camp and will enjoy the amazing views of the Du Cane Range. This is a relatively easy day - there’s no more climbing! You’ll descend to Narcissus, through eucalypts and buttongrass plains. As you near Narcissus River, you’ll enjoy a view of Mount Olympus and have fun with the suspension bridge over the Narcissus River – the only one on the Overland Track. Just a small walk on, you’ll find the Narcissus Hut on the River. From here, you may be choosing to extend the trip and walk to Lake St. Clair, if not, confirm your ferry booking using the hut radio. Whichever way you arrive at Cynthia Bay, sign out your walk and celebrate your achievement! 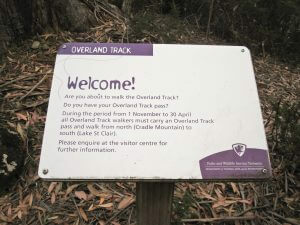 Overland Track runs for 65 km and is usually completed over 6 days. More than 8,000 walkers enjoy the track each year!